What a brilliant opening line to a novel! I just want to keep reading immediately to find out what happened. Does she fall down the stairs, does someone push her? Or from the way the sentence is written it could be that Honor Levinson walks safely down the stairs and something else happens to her at a later stage. I’m fascinated to know. I hope I get a chance to read more very soon! 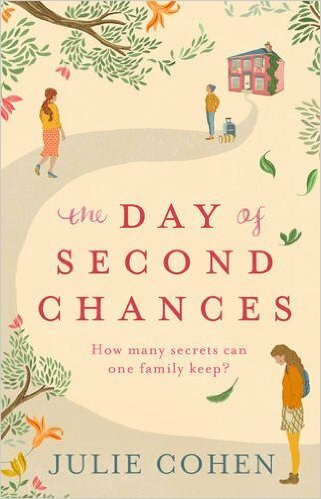 The Day of Second Chances is due to be published on 28 January 2016. This entry was posted in book beginnings, Book Meme, Books, ebooks and tagged Book Beginnings, Books, ebooks, Fiction, Julie Cohen, Women's Fiction. Bookmark the permalink. Yes, that does make me wonder….and now I want to know what happens! Thanks for sharing…and for visiting my blog.